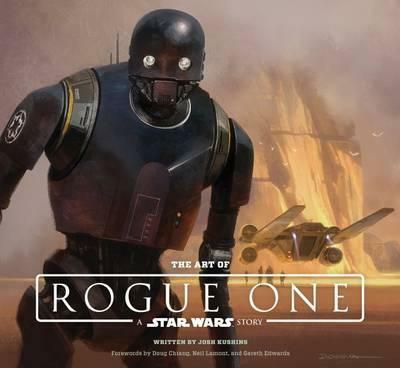 This book is a visual chronicle of the Lucasfilm art department's creation of new worlds, unforgettable characters and newly imagined droids, vehicles and weapons for the first movie in the Star Wars Anthology series-Rogue One: A Star Wars Story. In the same format and style as Abrams' The Art of Star Wars: The Force Awakens, the book gives readers unprecedented access to hundreds of concept paintings, sketches, storyboards, matte paintings, blueprints and character, costume, and vehicle designs. The Art of Rogue One: A Star Wars Story will stand as the definitive guide to the artwork and imagination behind the newest chapter in the Star Wars franchise and will delight Star Wars fans and cineastes for decades to come. Directed by Gareth Edwards (Godzilla, Monsters), with production design by Doug Chiang and Neil Lamont, Rogue One chronicles the adventures of a Rebel cell tasked with a desperate mission: to steal the plans for the Death Star before it can be used to enforce the Emperor's rule. The all-star cast includes Felicity Jones, Diego Luna, Forest Whitaker, Mads Mikkelsen, Alan Tudyk, Riz Ahmen, Ben Mendelsohn, and Donnie Yen.